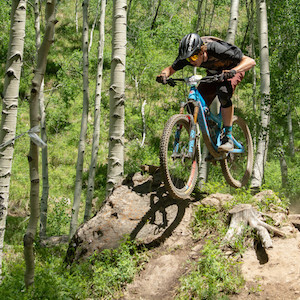 The Home of Mountain Biking: Crested Butte is one of the original birthplaces of the sport of mountain biking (along with Marin County in California). Since the sport’s emergence nearly 50 years ago, Crested Buttians have been building trails. Lots of trails. We’re up to 750+ miles in the Gunnison Valley. That’s literally more than any other destination in the world. Check out our sister site mtbhome.com for more information. Official Wildflower Capital of Colorado: The Colorado State Legislature officially designated Crested Butte the state’s Wildflower Capital. No need to put it in quotes in your story. Come out during the Wildflower Festival to experience peak bloom. Best Extreme Ski Terrain in the Lower 48: Crested Butte Mountain has 1,547 acres of terrain within its boundaries. One third of that is rated Extreme and the vast majority of that deserves its rating. Crested Butte played home to the first Extreme Ski Championships in the US and has long been a proving ground for freeskiers who have gone on to win world championships and star in ski movies. It’s a true skiers’ mountain. Home to Colorado’s Largest Lake: The Blue Mesa Reservoir is located just west of the city of Gunnison in Curecanti National Recreation Area. Offering great power boating and the country’s largest kokanee fishery, the Mesa is a paradise for sportsmen. Host of Colorado’s Oldest Rodeo: Cattlemen’s Days in Gunnison is the state’s oldest rodeo. Held immediately after the 4th of July weekend, book your lodging early if you’d like to attend Cattlemen’s. Otherwise, you’ll be out of luck. Home to Colorado’s Largest Aspen Grove: For a time, the aspen grove on Kebler Pass was regarded as the world’s largest single organism. Scientists have since discovered algae and fungi that are larger. Either way, Kebler Pass is the scenic drive of choice in the state during late September or early October depending on the year. 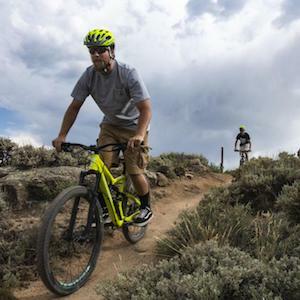 Host of the first Fat Bike World Championship: Mt. Crested Butte and Crested Butte shared hosting duties to host the inaugural Fat Bike World Championships in 2016. Bikes were raced. An industry summit was held. And one lucky (?) winner had the logo of the event literally branded on his backside. 2019 will be the 4th annual event. Home to Rocky Mountain Biological Laboratory: Gothic, Colorado just may be the most useful former ghost town in the state. 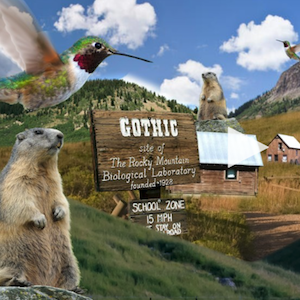 Originally a silver boom town that fizzled out within a few years, Gothic has been home to the Rocky Mountain Biological Laboratory (RMBL) since 1928. That means it’s one of the oldest and largest biological field stations in the world. Every summer, RMBL plays host to hundreds of researchers and students from all over the world studying nearly every thing in that pristine mountain valley. Marmots, deer, salamanders, flowers, bees, hummingbirds, and the list goes on. “Nordic Ski Capital of Colorado”: This one is less official than the Wildflower Designation; it’s a grass-roots designation we’ve adopted. We have 60+ km of groomed trails in the North Valley maintained by the Crested Butte Nordic Center. The Alley Loop race is held the first weekend in February and is an American Birkebiener qualifier. Their Grand Traverse may be the most legendary Skimo Race in the Rocky Mountains. Let us know if you’d like to take a trip out and experience our Nordic Center’s trails or events. Check out some recent news stories including Gunnison-Crested Butte. Andrew Sandstrom is our Public Relations Manager. He’s your source for everything from photos to FAM trips.